What are Crystal Meth labs? Crystal Meth labs are illicit operations. They contain the apparatus and chemicals needed to produce the powerful stimulant methamphetamine. These labs vary dramatically in size and output. 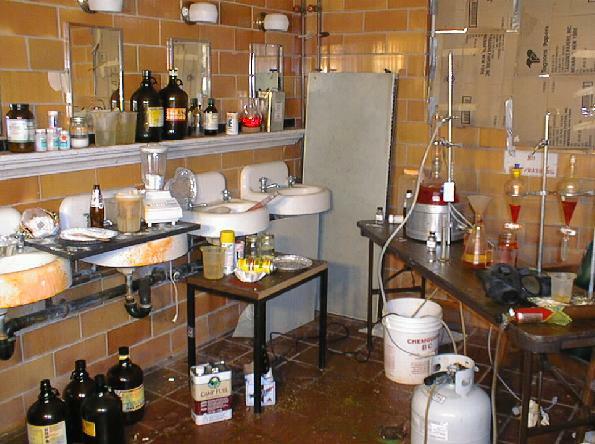 Large laboratories, known as super labs, produce 10 pounds or more of crystal meth per production cycle. Much smaller laboratories--sometimes called box labs--produce as little as an ounce or less of the drug and are small enough to fit in a box or backpack. How common are Crystal Meth labs? Methamphetamine laboratories are increasingly prevalent throughout the United States. In 2002 more than 7,500 laboratories were seized in 44 states, according to the Drug Enforcement Administration (DEA) El Paso Intelligence Center National Clandestine Laboratory Seizure System. While crystal meth production remains most common in the western portion of the United States--particularly California--seizures of crystal meth labs in the west central part of the country have become more commonplace. Where are Crystal Meth labs found? Methamphetamine laboratories may be located virtually anywhere. labs have been found in secluded rural areas as well as in residential, commercial, and industrial districts. 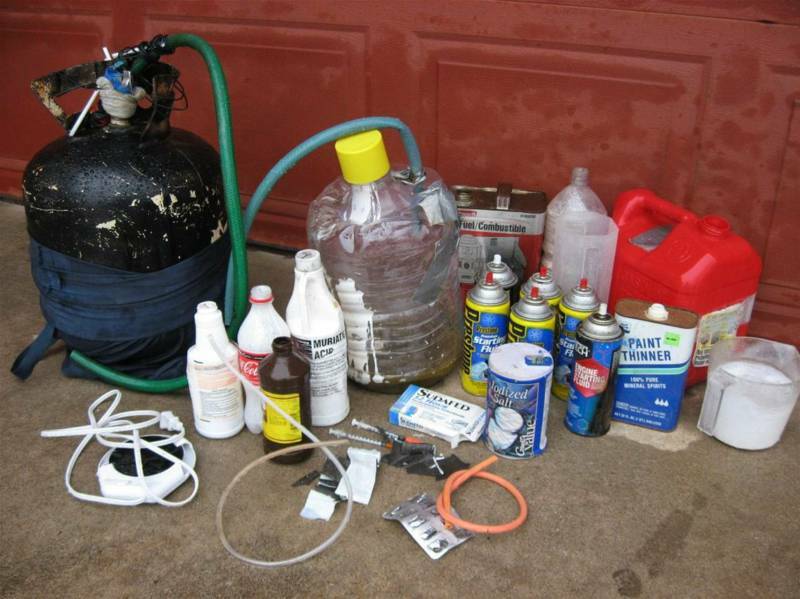 Law enforcement officers have seized crystal meth labs at private residences, commercial properties, hotels and motels, and outdoor locations. Mobile laboratories have been discovered in automobiles, boats, and luggage. What are the signs that a Crystal Meth lab may be present? Studies show that meth effects can last up to six months after just one use and the drug can do greater damage to a person's physical, behavioral and thinking functions than many other illicit drugs or alcohol. Research has shown that extended abuse of meth can cause damage to the users brain similar to that caused by Alzheimer's disease, stroke and epilepsy. This brain damage lingers for months and even after the user stops taking the drug. There are several reasons why a person will try meth. Athletes and students may try meth because of the initial heightened physical and mental performance the drug produces. Crystal meth is a cheap street drug making it dangerously appealing to teens but because of its' black market nature you are never getting the same thing twice. The differences in recipes used by under ground labs and the variety of acceptable mixing agents make it impossible for you to ensure that you will experience the same type of high each time you use.